Home / 2018 / April / 2 / Why Should You Choose Concrete Over Hardwood For Your Outdoor Patio? Creating a beautiful backyard can be exciting and fun, especially when you enjoy letting your creative side go. You’re able to experiment with all new colors, ideas, and can get lost in all of the details of decor and aesthetic. However, finding the best quality of material can be a little difficult. Not everything on the internet is always trustworthy, so that’s when things can get a little difficult on this roller coaster of an experience. That’s why we’ve researched the difference between concrete flooring versus hardwood flooring for your outdoor decking and patio needs. There are tons of reasons to pick one over the other, but if your main concerns are lifetime expectancy, customization, and price, then keep reading to find out why concrete is the best option for your outdoor patio and decking needs. Wood decking and wood patios have been a fan-favorite for years due to their low installation costs and beautiful initial looks. 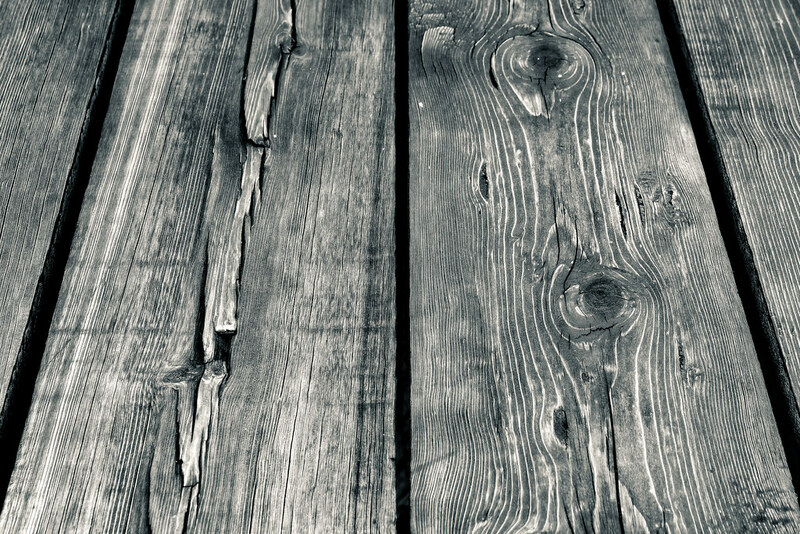 But whoever said looks never last was probably referring specifically to wood decking. On average, wood patios and decks need to be cleaned and resealed frequently, about every 1 to 2 years. The elements take a major toll on this type of material, making it very easy for it to rot, take water damage, and lose coloring and its original spark. With consistent and diligent care, your deck can last around 15 years. This simply just adds to the headache of your everyday life, creating another chore on your long list and could result in discolored and rotting deck that can no longer host your summer parties. However, this issue is bypassed when choosing material that can withstand the wear and tear of the elements coupled with low-maintenance needs. Taking care of your concrete patio will seem like a breeze in comparison to the frequent catering you’d have to do for a wood patio. When it comes to a concrete patio, you’ll only have to worry about rinsing dirt and debris off of it every so often and resealing it every 4 years. And, typically, you only have to reseal it if it’s starting to look a little chalky– but if you want to know more about when to seal and how to seal, check out this blog post. In the long run, concrete patios will long outlive their hardwood competition. Maintenance and their life expectancy are big issues, especially with a living space that is, usually, used for hosting parties and intimate gatherings. Looking To Install Concrete On Your Own? Check-Out These Do’s and Don’t’s First! Creating the outdoor living space of your dreams is hard work, and we realize that! Trust us. But that doesn’t mean that you have to settle for less. 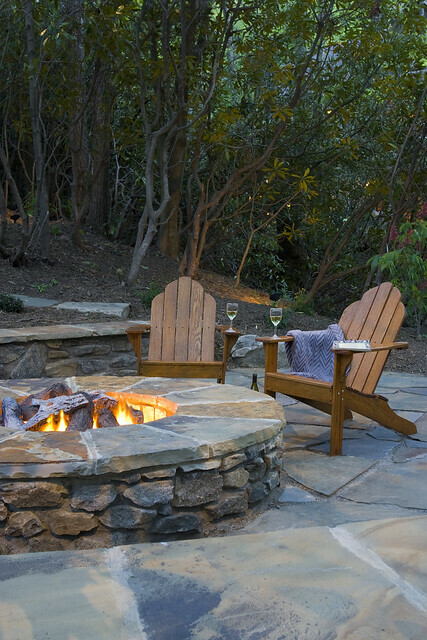 Half of the fun of creating a new backyard patio is letting your imagination run wild! During this creative stage, you’re able to spend lots of time dreaming big, looking at tons of pictures, and imagining all the different routes you could take when creating your new favorite lounge area. However, some people will limit themselves to how much they can do when they settle with wood as their patio flooring. Unfortunately, there aren’t many options when it comes to wood flooring. The overall look is generally the same, no matter the type of wood. Yes, you’re able to get different colors, but creativity doesn’t stop at just what shade of brown you’re looking for! You can imagine bigger than that, and you deserve a material that’s able to keep up with your wildest dreams! With concrete, you’re able to create almost any look that you can dream up. It opens up your backyard to a world of different options with little to no limit, so if you’re someone that’s in search of a material that can fit your biggest ideas, look no further. 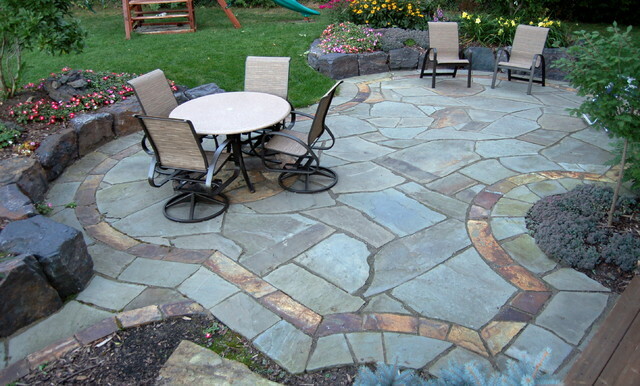 Want To Get An Estimate On Your Dream Backyard Patio? Contact Us Now at 77-237-9101 or Fill Out Our Form Here! Spend a little now to save a lot later. Choosing concrete over wood flooring already helps you save money because, on average, basic concrete is about $2-$6 per sqft. So, not only are the upfront costs a lot more manageable, but the fact that concrete is more durable and has low maintenance needs makes it an even better investment. Choosing concrete flooring will save money in the long run– it’s the same concept as buying the nicest X-product now so that you don’t have to re-buy it in 5 years. When installing concrete as your patio flooring, you’re able trust that it will last you a lifetime compared to hard wood. 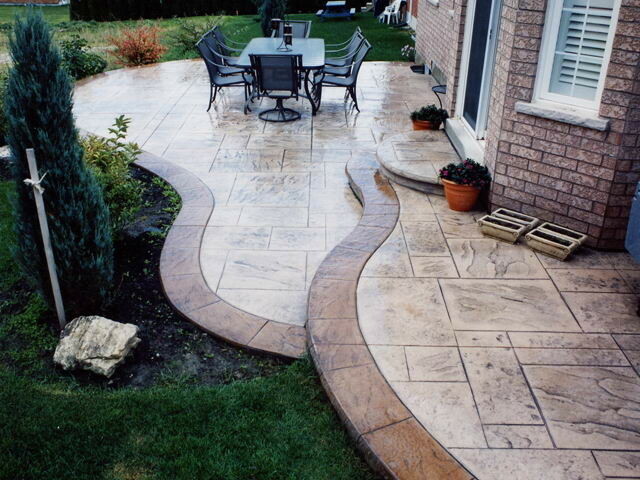 When it comes to your patio, consider if the durability, flexibility, and money matter to you. And if so, then I think you’ve found your answer on which material is the best fit for your backyard patio needs! Not sure what your next step should be? Call our team at 770-237-9101 or contact us here to be one step closer to having the perfect flooring installed for your patio!